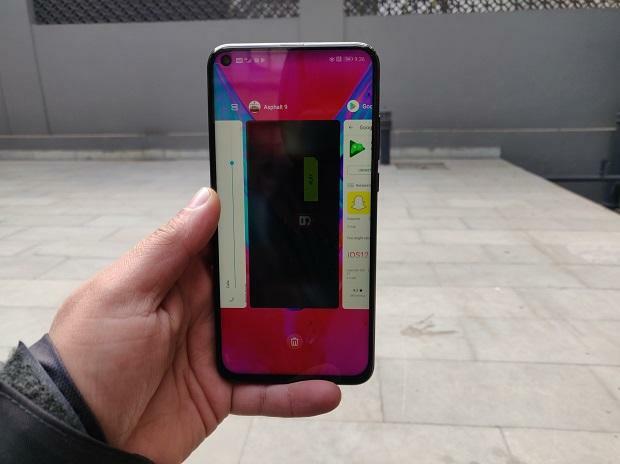 The Honor View 20 is set to become the first smartphone in India to feature a punch-hole screen. Unveiled at a global launch in Paris on January 22, the smartphone is set to be launched in India on January 29. Apart from a punch-hole screen, the phone also boasts a 48-megapixel primary camera, gradient glass design, and an Android Pie-based Magic user interface, which is an improvement to Huawei’s emotion UI (EMUI) seen in previous iterations of Honor devices. From a premium build to top-tier specifications, the Honor View 20 seems to be a flagship smartphone that would set the benchmark for future Honor-branded smartphones. 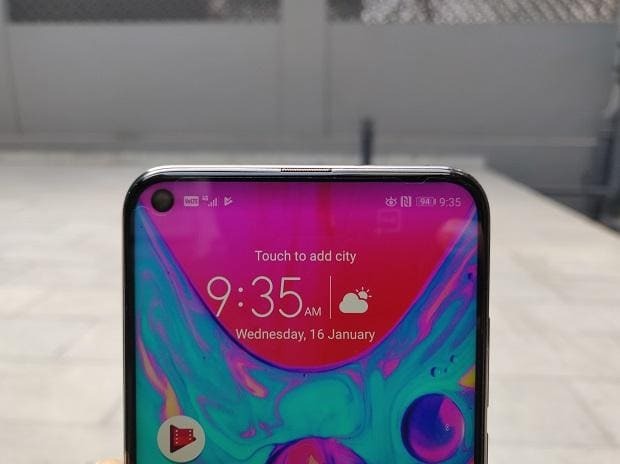 The phone’s punch-hole is a step forward, compared to notch screens. It accommodates a 25-megapixel front camera for selfies. 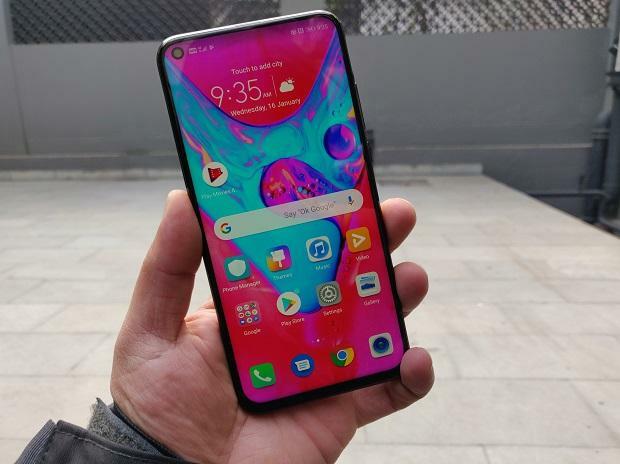 However, like other notch screen-based smartphones, it also has a visible bezel at the bottom that obstructs its otherwise bezel-less profile. On the back, the phone has a glossy glass with gradient design. It shows V-shaped gradient lines that reflect when looked at from angles. Unfortunately, the design is prominent only in the sky blue colour, and not other variants. At a time when in-display fingerprint sensors are becoming mainstream in smartphones, the Honor View 20 has gone with a conventional fingerprint sensor on the back. It obstructs the phone’s unibody design, but its utility makes up for whatever little damage it does to the phone’s overall design language. The phone has an unconventional dual-camera module at the back with a mammoth 48MP primary lens, paired with a time-of-flight (3D) lens. The camera seems to be of the flagship breed. It also has an artificial intelligence-based automatic scene selection that recognises frame instantly and adjusts settings accurately in most cases. The camera also boasts a dedicated night mode for low-light photography. It lightens the dark scene, but shows loss of details at times. Overall, the phone seems to be a value-for-money proposition based on Huawei’s premium offerings like the Huawei P20 Pro and Mate 20 Pro. 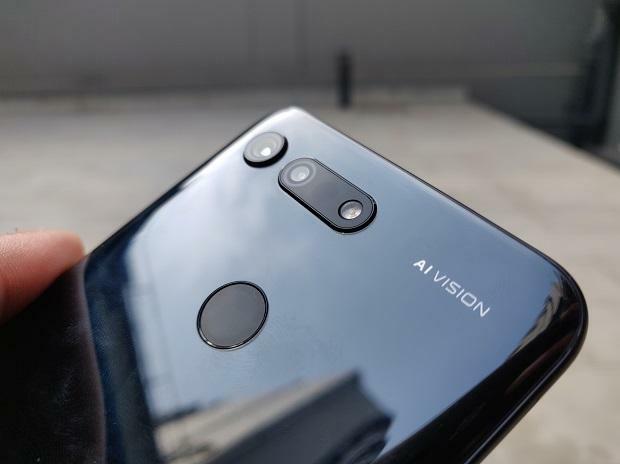 Even though the phone lacks some of the premium features like an in-display fingerprint sensor, AMOLED screen, QHD resolution display, monochrome or telephoto lens, etc, it compensates for them in one or the other way. It should be seen as a complete package — if it is launched in the mid-tier range of below Rs 40,000 that is.